We had the privilege of speaking at the 8th annual Thinking Outside the Box seminar held at Naples Daily News by E Sue Huff & Associates. This is a great educational seminar for non-profits in the area. 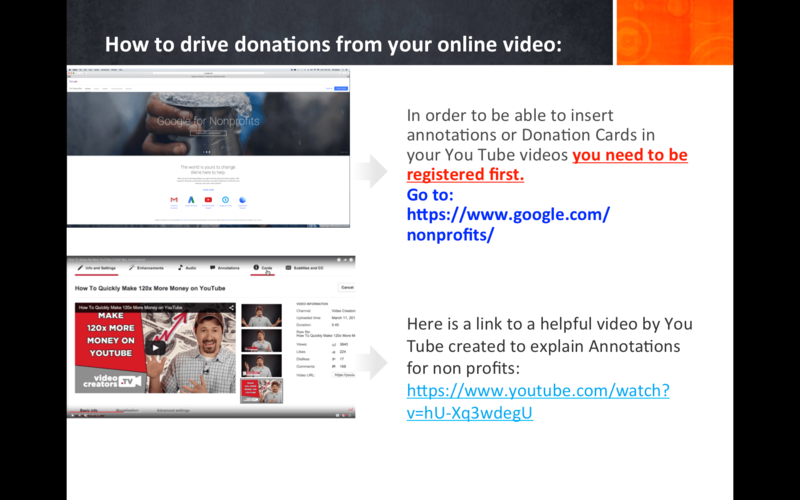 As part of our presentation we shared that non-profits needs to register with Google in order to create annotations that link to their donate page on their website. Below are 2 important links in the image to help them accomplish this.